VOLNEY E. HOWARD and ALBERT B. CHAPMAN were combatants in the 1867 race for the post of district attorney of Los Angeles County, then held by Howard. The question as to which of these Democratic faithfuls won the election was ultimately decided by the state Supreme Court. Howard you’ve met, if you read the past few columns. He led the state’s troops in trying, without success, to quash the vigilantes who had seized control of San Francisco in 1856. A Southern sympathizer, he was elected DA during the Civil War. Chapman was mentioned briefly in the last column. He served as district attorney in 1863-64, filling out the unexpired term of Ezra Drown, who died in office. Well regarded within the bar, Chapman had strong name recognition among the populace through daily newspaper advertisements for his legal services. He was a graduate of West Point in 1854 and served in the Army until 1859, retiring with the rank of major. In 1863, Chapman became Los Angeles city attorney, retaining that post while assuming chores as district attorney (and also maintaining his private law practice). He was not the first to serve as city attorney and district attorney at the same time. His law partner, Cameron Thom, previously held both offices contemporaneously. In 1865, Chapman went into private practice with Andrew Glassell, who was later to become the first president of the Los Angeles Bar Assn. While it was customary in those days for candidates to run only if they had been nominated by a political party at its convention, a nomination was not a legal requisite. Chapman ran for district attorney as an independent in 1865, as did an aspirant for the office of assessor. The county Democratic Party held its convention four days later and did not nominate a candidate for district attorney. 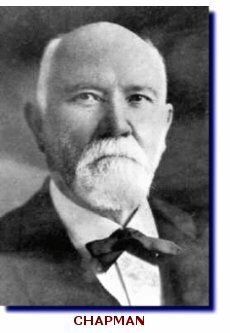 The Union Party’s county convention on July 24 nominated for district attorney Ambrose Merrick, a Republican who came to Los Angeles the very year of the election. He had previously served as president of the city council in Springfield, Mass. Merrick stuck around Los Angeles for two years, then moved on, later becoming the first city attorney of Minneapolis. The tally was 598 votes for Chapman, 590 for Howard, and 512 for Merrick. One of Howard’s supporters, the wine-maker Keller (owner of the 13,330-acre Rancho Malibu), brought suit to throw out the results from two precincts because the elections there were not supervised by a clerk appointed by the Board of Supervisors. Keller alleged that one appointed precinct clerk, Paul Prior, showed up on election day and tapped Juan Abila—who had neither been duly appointed nor sworn—to act in his stead. If the results for that precinct, alone, were disregarded, Howard would be the winner by 11 votes, Keller’s statement of contest set forth. So, Chapman was in, Howard was out. This does not mean, however, that “Ponderosity” was jobless. Like Chapman and others who had held the office, he had maintained a civil practice while serving as DA. Chapman, in assuming the post of district attorney in 1868, not only continued his practice, but was engaged in real estate dealings. When efforts were made to set up a post office in 1873, it was found that the name “Richland” was already taken; there was such a place in Sacramento County. One theory is that Richland was renamed “Orange” in honor of Orange County, Virginia where Glassell was born. Orange was incorporated as a city on April 6, 1888, and the following year, became part of the newly formed Orange County. Chapman Street and Glassell Street converge in the city at the traffic circle in the center of the business district. On March 8, 1869, Chapman purchased the southern portion of Rancho San Rafael (previously judicially partitioned) at a foreclosure sale. The price was $58,750, the amount that the landowner, Don Julio Verdugo, owed. Beneficiently, Chapman quitclaimed the ranchhouse and 200 acres to the aging Verdugo. Chapman and Glassell acquired additional portions of the erstwhile rancho, located north of the City of Los Angeles. As previously recounted here, parcels owned by them, Thom, and a multi-time mayor of Los Angeles, Prudent Beaudry, became the City of Glendale. In 1873, Howard sought to recapture the post of district attorney, taking on the incumbent, Thom. That contest will be a focus of the next column.